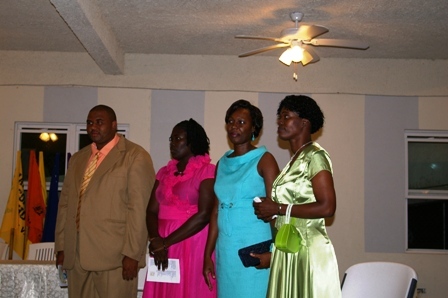 CHARLESTOWN, NEVIS–(MONDAY, NOVEMBER 22, 2010) Premier of Nevis and Minister of Education, the Hon. 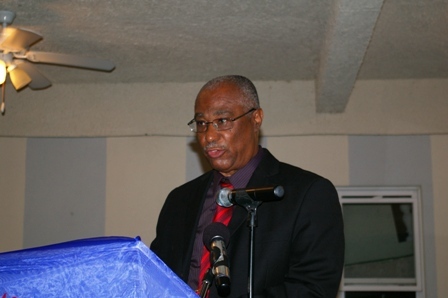 Joseph Parry paid glowing tribute to the Teachers of Excellence Awardees and recent retired teachers at the Teachers of Excellence Awards ceremony on Saturday, at the Occasions Event Center on the Pinneys by pass road. “Over the years, the retired persons have worked very hard and have achieved excellent results. Teachers have always been known for giving encouraging words and comfort to students. In some cases students are looking for a surrogate mother or father and I hope, especially among the young teachers that they can give that little attention that can empower a child,” said the Premier. He also said that teachers have done a great job and they must continue to do so, in order to help shape the young persons of our society. According to the Premier, it was good that the teachers who were being recognized were on stage and being honoured publicly for their work as teachers on Nevis. Mr. Parry noted that he was told when he first came into government, that very few young people were interested in teaching. He said it was the thinking of some that young people were not interested because teaching received very little pay, while others thought that the children are unruly and ill disciplined. “I am very pleased that despite the reason for the decline in young teachers in the past, young people are coming forward and are showing a very keen interest in teaching,” said Premier Parry. During the ceremony, the Premier also thanked all the private businesses who made significant contributions to the event. He informed the audience that while in the past the contribution from businesses for an event like the Teachers Excellence Awards came from St. Kitts business owners, it made him feel good that this year, businesses in Nevis were able to give to teachers generously. 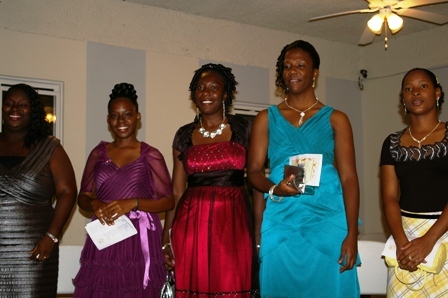 The teachers who received the 2010 Teachers Excellence Awards were: Mrs. Marva Bishop, Miss Shelita Browne, Miss Kera Herbert, Miss Latesha Isles, Miss Althea Jackson, Miss. Tamesha Saddler, Miss. Delceta Ward, Mrs. Lornette Webbe and Mr. Adonis Rivers. Recognition of the Retirees award went to Ms. Gillian Andre, Miss Monica Fraser, Miss Sandra Liburd, Mr. Winston Morrison, Mr. Basil Patterson and Mrs. Matilda Taylor. The Premier concluded, “You are a great body of teachers, awardees keep on working hard. I congratulate you all for a job well done,” said the Premier.